Sonic ran fast enough to run on top of a killer whale.... What's not to love? 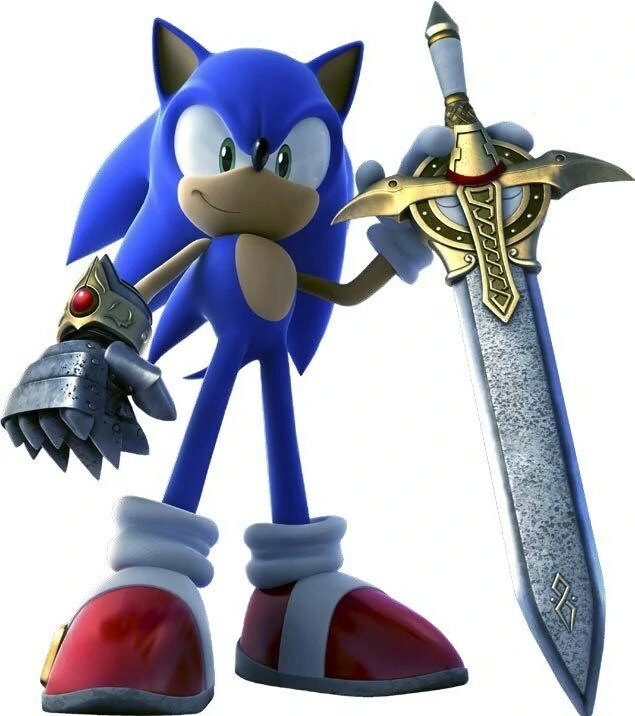 WHO THOUGHT IT WAS OK TO GIVE SONIC A SWORD?! Ugh….. I mean….then they gave this guy a game. THIS GUY HAS A GUN FOR HEDGEHOG'S SAKE!!!! It’s like when you finally meet the girl of your dreams and you realize that A) She has the brain of an acorn and B) A personality as thin as a piece of cardboard. Sonic just keeps shattering our heart and we keep coming back hoping that he’s changed and he will treat us better this time. You know what was great about Sonic games? When all he had to do was be in a side scroller and run across the stage and free animals. Oh yeah, and collect rings and do it in the fastest way possible. I will say that I really dug Sonic Unleashed which was the Sonic incarnation that had him split the game as his usual self and as a Werehog. Far fetched I know, but it worked out pretty well. That and the Sonic stages were also as fast as anything I’d ever seen him. But then there’s all this extra junk story involved and all I want to do is beat Dr. Robotnik. Not too much of a request. So with Sonic’s 20th birthday, I hope he’s gotten out of this dark phase of his life and is turning that corner and has all those bad games behind him. One can dream…. Great entry. It definitely took me back to Sonic’s “glory” days… when SEGA was a legit competitor and literally Sonic’s speed added a refreshing touch to the typical side-scroller. Hell, even the spin-off games to a degree – Sonic Spinball and, unrelated but associated, Dr. Robotnik’s Mean Bean Machine – were enjoyable. When Sonic Adventure came out, fully bringing Sonic into the world of 3D (unlike that tease Sonic Blast, much less the BIGGER tease Sonic Jam) and proving he could hang with Mario on a next generation system, I was so excited. And then… well, he started sucking again after Adventure II. I’m hoping this 20th Anniversary iteration does the franchise better justice. Between Sonic Colors and the Black Knight ish (basically, SEGA trying to make Sonic Zelda… #FAIL), I feel like I’m back where I was in SEGA’s last days as a console franchise, hoping for something big.